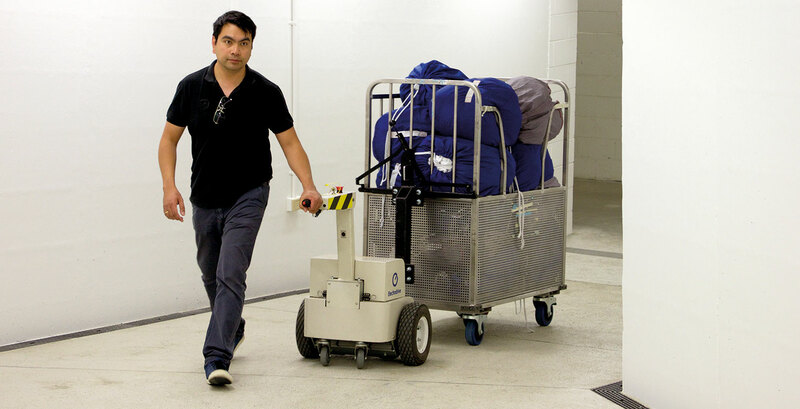 The Tug Linen Mover is a Tug Compact with a custom hitch, specially designed for attaching to linen trolleys that are 500–700 mm wide. 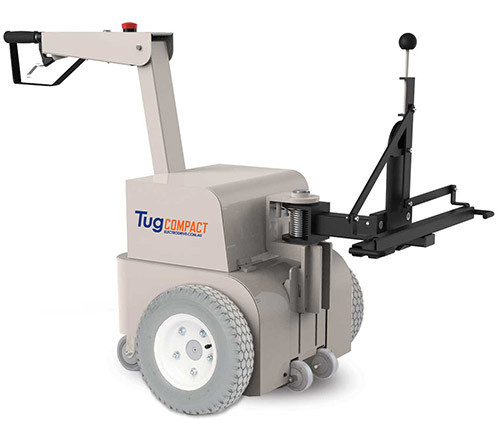 As with all Electrodrive Tugs, this configuration will allow a user to tow up to 500 kg safely. And because it is nimble, it will allow you to effortless maneouver heavy linen trolleys through tight corridors, avoiding the risk of collisions.